- Publisher In this book well known theologian, teacher, author, and columnist Richard McBrien offers a complete mini course on the Church in a format and style read-ily accessible to the general reader. 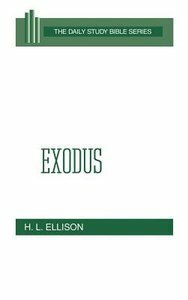 About "Exodus (Daily Study Bible Old Testament Series)"
In this book well known theologian, teacher, author, and columnist Richard McBrien offers a complete mini course on the Church in a format and style read-ily accessible to the general reader. H. L. Ellison is a well-known lecturer and the author of numerous books. He has taught at London College of Divinity, London Bible College, Spurgeon's Theological College, Birmingham Bible Institute, Cambridge University, and Moorlands Bible College.